I confess I'm a stationery addict. I absolutely adore cute stationery. I cannot leave a stationery shop without buying anything. 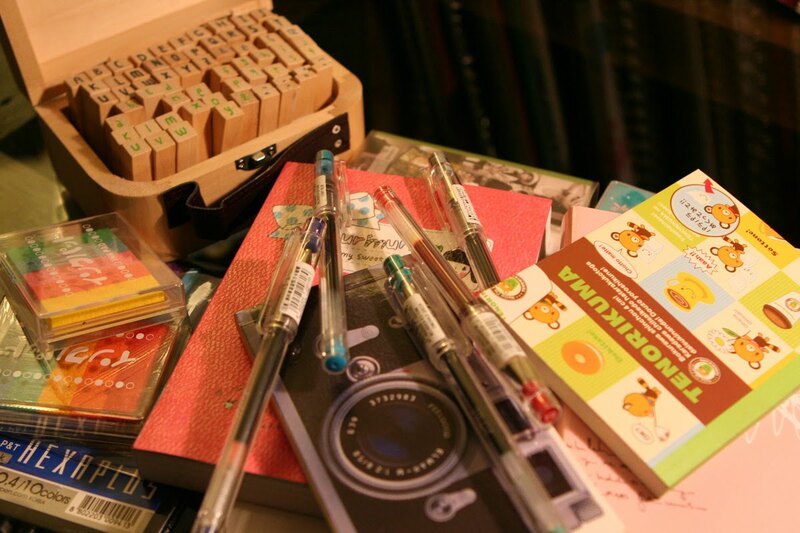 I love them rubber stamps, stickers, notebooks and pens. I have a lot that I have yet to use but I keep buying more. I know it's quite useless but I just can't help it. They are always calling out to me. Hahaha. I went crazy in Japan 'coz they got the cutest stuff over there but then as usual the problem lies to my limited funds. Though i did get to buy a few rubber stamps, stickers & folders from Tokyu Hands. Heeeeeeee... I know I'm not a kid anymore. I like the wooden stamps! Ahh I love stationary too, I cant get enough of it! I can imagine Japan have the most crazy cutest stuff, you're so lucky!